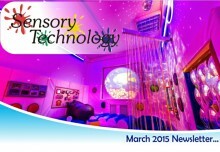 We have installed a wonderful Home Sensory Room locally in Nottingham. We started the design with Colour Changing Mood Lighting which will wash the entire room with colour, these will provide a calming atmosphere. You can select the different colours depending on your mood or just place the lights on colour scroll and they will change to the beat of the music. The Softplay Cube that was supplied with the lights will also allow the user to change the colour of the lights. You can just simply roll the Cube and whichever colour lands on top will determine the colour of the room. A great cause and effect product and great fun too! In the corner of the room we installed our amazing Fibre Optic Curtain. This will produce a wonderful sea of colour for the user to enjoy. The curtain is UV to provide bright, fluorescent colours when the UV light is active. The fibres really provide a lovely tactile experience. A mirror was fitted to the top of the canopy to provide a lovely effect and to maximise all the fibres. All products are wired back to one central location for easy activation, so as you walk into the room you can simply select the products you would like on for each session depending on the users mood. Our wonderful interactive Sensor Floor™ system has been installed in the room. 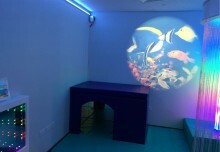 It has been attached to the ceiling and projects onto the padding for the user to interact with the games. The system has over 150 games to keep them entertained, from relaxing rippling water and fish games, to stimulating splat games. A simple sound system has been fitted in the room to enable him to play his favourite music via an input panel at the entrance of the room where you can connect any Apple or Android device to play the selected playlist. We linked the sound system to a resonance beanbag so you can actually feel the vibrations produced from the music. The whole room has been padded, both the walls and the floor, to make for a safe environment to relax and move about in. The radiator has also been boxed in, vented and then padded for safety to ensure the room can still be heated. A wooden platform has been installed at the entrance of the door to enable the user to get into the ceiling hoist from his wheelchair. Finally, we installed blackout blinds to block the light out so you can get the best results from the lighting effects in the room. All of our products are extremely maintenance friendly as the majority of products are all LED. This means there are no lamps to change and use little energy. The wireless remotes all have a battery life of at least 5 years on continuous use so again are extremely maintenance friendly. All you have to do is enjoy the great effects and have fun!! 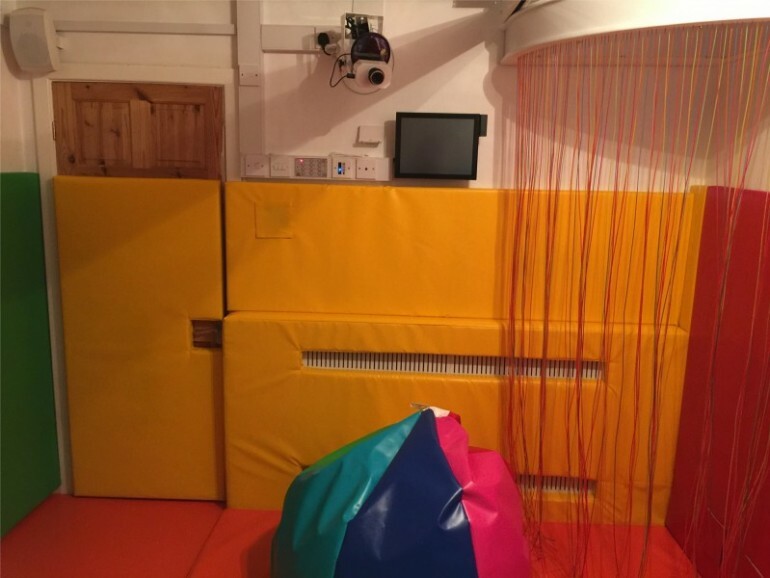 We are always happy to deal with home sensory room enquiries, and as we are a Part P registered with the NICEIC, we are able to carry out all the electrical work required both safely and legally.